Our CPA firm features an innovative tax preparation system that expedites the preparation of your U.S. tax return no matter where you live in the world. We have a secure client portal system, which allows us to retrieve your tax documents and to provide our completed returns to you through a system that is much safer than e-mail. We also have Skype technology available for voice and video conferencing to help facilitate communication. Information technology now allows Americans around the world to obtain our professional CPA assistance no matter where they live. To help you out, we have outlined the most common documentation you’ll want to gather to report your income, applicable deductions, and foreign bank accounts. The first thing you’ll need to find might be the most obvious – sources of income. The types of documentation you’ll need to look for are your resident countries equivalent of annual wage slips like W2, P60, and P45. If you are self-employed, you will need records of your earnings and deductions for the calendar year. If you are self-employed, you need to track your self-employment income carefully as you generally will not receive many documents to help in the process. Keep accurate records through check stubs, bank statements, invoices, etc. Information regarding interest and/or dividend income is typically provided to you by your bank or brokerage house. Look for the foreign equivalent of a US Form 1099. If you are not provided with a slip showing annual interest or dividends for any account, you are obliged to calculate the amount from statements. Some accounts are exempt from resident county tax (such as TFSA accounts in Canada). Bear in mind that the US does not recognize these types of accounts as tax free, and that you will need to calculate the earnings. Did you buy or sell real estate this year? If yes, there are likely to be some tax implications. Please supply us with the purchase price, date of the transaction and the purpose of the property that you acquire. If you own rental property, you will want to gather the details of the income and applicable expenses. Withdrawals from your foreign pension or equivalent retirement account(s) must be reported to the IRS each year. Usually you will receive a reporting slip from the financial institution (or your employer). If you receive US Social Security benefits or some Social Security type “Old Aare” pension, you will want to make sure you provide us with a copy of a reporting slip (the equivalent of a US Form 1099R). If you travel between the US and a foreign country, your income may need to be split for time in and out of the US. Accurate travel records are also necessary to prove you qualify for the Physical Presence Test, which then makes you eligible for the Foreign Earned Income Exclusion (FEIE). Why is this important? For the 2016 tax year, the FEIE allowed you to exclude (for US taxation) the first $101,300 of foreign earned income. To pass the Physical Presence Test, you must be outside of the US for 330 of any 365-day period. They must be 330 FULL days, so time spent in the air (or by sea) traveling to and from the US does not count towards the 330 day total. Pay close attention to your travel dates to ensure you qualify – just one extra day in the US or in-transit could cost you thousands of dollars. Keeping an accurate and detailed travel calendar is essential. You may elect to deduct a certain amount of your foreign housing expenses if you qualify. Qualifying expenses may include rent, utilities, property insurance, parking and any expenses related to storing your possessions. You will need specific documentation of these expenses. More details about the Foreign Housing Exclusion can be found HERE. Any interest paid on a mortgage for your home, a loan for investment purposes or against an outstanding student loan may be deductible. The amounts paid may be provided to you on statements from the bank or lending institution. If they are not provided, you may have to ask for or calculate the amounts. Certain taxes may be deductible too, such as foreign income taxes, real and personal property taxes, and local excise taxes. Your children and other dependents can be a source of deductions or credits. In addition, child care costs for children under 15 can be deducted from your US expat tax returns, so contact the child care provider for a statement of your payments. You will need a SSN or ITN to claim any dependent exemptions or deductions. If you need an ITIN for a dependent, remember that we are an official ITIN Acceptance Agent and can streamline the process of applying for an ITIN. If you have over $10,000 in foreign bank accounts during the tax year, you must report these account(s) to the US Treasury Department by of each year. This is a requirement of FBAR (Foreign Bank Account Reporting) and it is important. While you don’t need to send copies of your bank statements when you file, you will need to have them in order to accurately report the balance(s). Remember that the $10,000 filing threshold is an aggregate amount, so if you had $4,000 in one account and $7,000 in another, you’ll need to report both accounts. • Single filers: Value of assets exceeds $200,000 at the end of the tax year or $300,000 at any time during the tax year. • Married filers: Value of assets exceeds $400,000 at the end of the tax year or $600,000 at any time during the tax year. This is filed along with your US expat tax return, so if you file for an extension, the extension applies to Form 8938 as well. Gather any statements related to financial overseas assets, and if you are working with a qualified expat tax preparer, they can help you determine which assets must be reported.  Gathering the documentation now to support your income, deductions and foreign assets will save you a lot of time (and hassle!) when you are ready to file your US expat tax return.